For babies and young children, middle ear infections can turn into serious ailments. Successful earache treatment may require a doctor’s care. Although more common in children, middle ear infection symptoms can plague all of us, and should be examined to treat the pain. Whether it’s you or your child grappling with middle ear infection symptoms, the pain and discomfort can cause you a lot of sleepless nights. And while there are plenty of home remedies that provide effective earache treatment, signs of bacterial or viral ear infection should be taken seriously. An untreated middle ear infection can spread to other parts of the ear and head and potentially cause problems with hearing and balance. Although anyone can get an ear infection, they are much more common in children. The American Academy of Pediatrics, in fact, says that most babies will have at least one ear infection before their first birthday. One of the main reasons young children are at higher risk than adults is related to the Eustachian tubes, which regulate air pressure in the ears and also help drain normal secretions from the ears. In babies, these tubes are more horizontal than they are in adults; as such, they’re more likely to become clogged. And when they don’t drain well, fluid inside the tubes can develop a bacterial or viral infection. The Eustachian tubes run from the middle ear to the back of the throat. 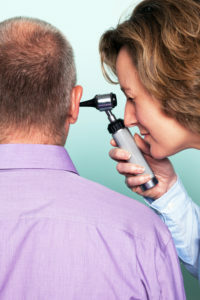 Most ear infections are located in the middle ear. Small plastic tubes can be placed in the Eustachian tubes to help improve drainage and lower the odds of developing an infection. They serve as temporary solutions until a child’s Eustachian tubes grow into a more vertical alignment. Unlike older children and adults, who can explain their middle ear infection symptoms to a doctor, babies can’t describe their pain or other symptoms. As a parent, you need to recognize the warning signs, so you can help ease your child’s suffering and know when to seek medical care. A teething baby is more likely to develop ear pain, although there may be no infection present. Look for signs such as excessive drooling and swollen or irritated gums that the earache may be due to teething. 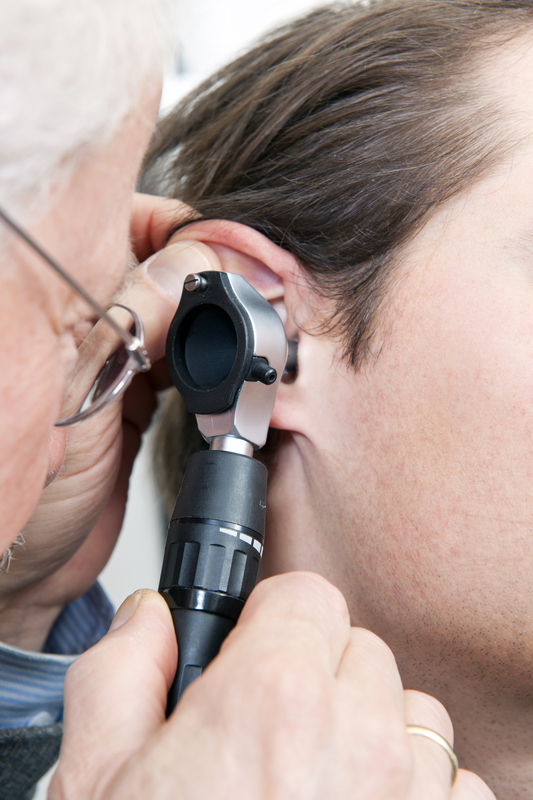 With an ear infection, you want treatment that will work fast and effectively. Moist heat—such as a warm, damp washcloth placed gently against the sore ear—may help people, children and adults alike, ease the pain of an earache. Treatment with pain relievers may be appropriate, but you should always talk about medications and your child’s age with your doctor. Acetaminophen (Tylenol) is usually well-tolerated in babies, older children, and most adults. Ibuprofen (Advil, Motrin IB) may also be the right painkiller. If you or your child take other medications or supplements, you should discuss the risk of interactions with painkillers or antibiotics, which should be used to treat a bacterial infection. You may have heard a lot in recent years about the over-prescribing of antibiotics, particularly to children for problems such as ear infections. One of the main concerns is that by giving children a lot of antibiotics when they’re young, a phenomenon known as “antibiotic resistance” can develop. The antibiotics, in the absence of a bacterial infection, would attack healthy bacteria in your body. This could cause the spread of antibiotic resistant characteristics to other bacteria in the body. When this occurs, antibiotics medications may not be as effective down the road. The question of whether to prescribe antibiotics to a child exhibiting middle ear infection symptoms depends partly on age. A child 6 months old or younger should, in most cases, be started on antibiotics. For children older than that, you may want to wait 48 to 72 hours to see whether symptoms subside. If your child is prescribed antibiotics, you should discuss with your doctor the length of the antibiotic therapy. Research by University of Pittsburgh School of Medicine found that a short course of antibiotics (five days) failed to knock out the bacterial function at a much higher rate than a 10-day regimen. If you’re not sure whether middle ear infection symptoms have been triggered by a viral infection or bacterial infection, take heart—it’s not always obvious. For example, a cold virus that also produces a sore throat is usually a virus. However, a fever that seems unusually high is likely to be a bacterial infection, not a virus. And if that fever gets worse after a couple of days, it’s probably a bacterial infection. A virus tends to produce middle ear infection symptoms for only a few days, while a bacterial infection—if not treated—may last for two weeks or more. If the earache treatment you try at home doesn’t help, or if there are other middle ear infection symptoms (such as a fever), see a doctor promptly. Even if it’s a virus that just needs to run its course, it’s better to know than to guess. If you guess wrong, you or your child may suffer needlessly. And if your doctor prescribes antibiotics, be sure not to skip a dose or stop taking them before the prescription has run out. You or your child might be feeling better, but the infection may still be active. Treating an ear infection by following your doctor’s advice is the best way to feel better faster. antibiotic therapy, antibiotics, bacteria, bacterial infection, children, ear infection symptoms, ear infections, ear nose, ear pain, earache, earache treatment, ears, health, hearing, hearing loss, home remedies, how to use a neti pot, infection, middle ear infection symptoms, nose and throat, otolaryngologist, pain, pain relievers, runny nose, sore ear, sore throat, stop runny nose, supplements, vaporizer, viral infection, virus.